Saturday, Nov. 26 at 3 p.m.—WOODSTOCK—The 7th annual Woodstock Vermont Film Series at the Billings Farm & Museum will feature the award-winning documentary “Woodstock” on Saturday, Nov. 26 at 3 p.m. and 6:15 p.m. All films are open to the public and accessible to people with disabilities. Reservations are strongly recommended. 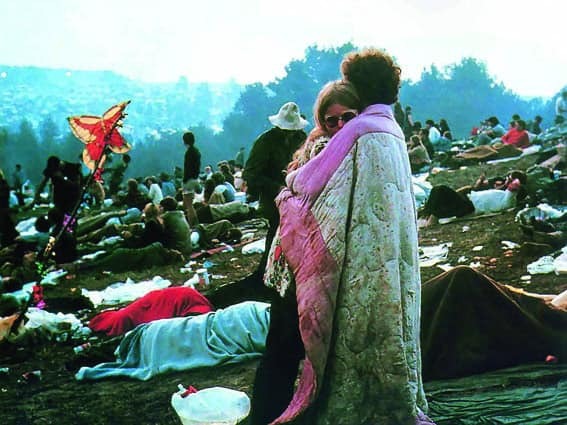 “Woodstock” (rated R) is three days of peace, love, and music, captured on film. Approximately 500,000 people (with an additional one million on the roads who couldn’t get any closer) gathered in one spot, for a festival that named a generation. See the film that captures the hippy nation that sparked a lifestyle that still lives on today. The film garnered an Academy Award for Best Documentary Feature, plus nominations for Best Sound and Film Editing. Tickets prices are $5-$11. For more info., visit billingsfarm.org/filmfest. “Woodstock” is a documentary about the festival that named a generation. It screens twice at Billings Farm & Museum on Saturday.